Two Americans from Kansas City fulfilled their goal of running a marathon in one of the coldest places in the world, Antarctica. 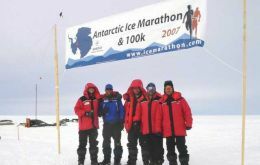 The feat was completed last December leaving for Antarctica from Punta Arenas and returning back home on Christmas Day, reports the Kansas press. Chile's Minister of Defence Jose Goñi together with the commanders of the three services and Carabineros called in Punta Arenas before flying to Antarctica on Thursday. Britain has yet to decide whether it will claim Antarctic territory sea bed but the UK remains and will remain fully committed to environmental protection of Antarctica, following on the spirit of the Antarctic Treaty one of the great successes of international relations in the last fifty years, said British Ambassador in Argentina John Hughes. 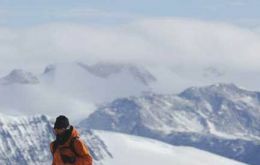 Twenty athletes from all over the world are waiting in Punta Arenas, extreme south of Chile, to fly to Antarctica for this year's edition of the Antarctic Ice Marathon & 100k, a charity competition. 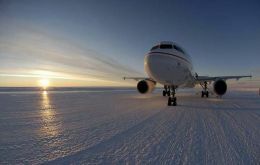 A passenger jet has made a historic landing on a new blue ice runway in Australia's Antarctic territory and regular flights are expected to start within a week, officials said Wednesday. 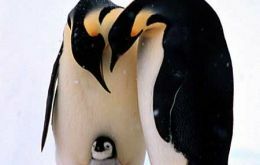 The penguin population of Antarctica is under pressure from global warming, according to a WWF report released this week. 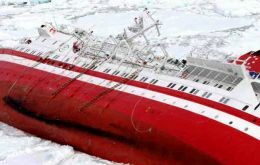 More than two weeks after the ship M/S Explorer sank in Bransfield Strait off the coast of Antarctica, experts are questioning the official explanation of why the vessel sank. 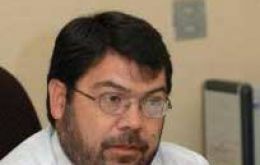 Accidents can always happen but the target is to minimize impacts and advance contingency plans for such situations in the framework of the Antarctic Treaty, said Chile's Dr. Alvaro Sapag, chairman of the Chilean Environment Commission during a meeting on the Antarctic environment held in Punta Arenas. 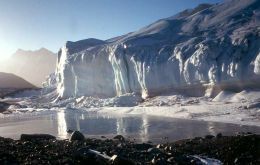 Scientists from Chile's Center of Scientific Studies (CECS), Antarctic Chilean Institute, and Air Force reported last week that Fleming Glacier, located in the Antarctic Peninsula, is showing signs of receding.